Franz Ferdinand and Sophie leave the Sarajevo Town Hall, five minutes before the assassination, 28 June 1914. The Fateful Adventures of the Good Soldier Švejk is a novel with an unusually rich array of characters. In addition to the many who directly form part of the plot, a large number of fictive and real people (and animals) are mentioned; either through Švejk's anecdotes, the narrative or indirectly through words and expressions. This web page contains short write-ups on the persons the novel refers to; from Napoléon in the introduction to captain Ságner in the last few lines of the unfinished Book Four. The list is sorted in to the order of which the names first appear. The chapter headlines are from Zenny K. Sadlon's recent translation and will in most cases differ from Cecil Parrott's version from 1973. In January 2014 there were still around twenty entries to be added. The names are colored according to their role in the novel, illustrated by the following examples: Doctor Grünstein who is directly involved in the plot, Heinrich Heine as a historical person, and Ferdinand Kokoška as an invented person. Note that a number of seemingly fictive characters are modelled after very real living persons. See for instance Lukáš and Wenzl. Afterword to the first volume, "In the rear"
Guth is held as an example of someone who talks very differently from Palivec. The author refers to him as Dr.Guth. Guth was a significant educator and literary figure, also known as a member of the first Olympic Committee, and very active in the Olympic movement. He was also master of ceremony at President Masaryk's office. He From 1920 onwards he called himself Jiří Stanislav Guth-Jarkovský. He was also Zdeněk Matěj Kuděj's teacher at the gymansium at Královské Vinohrady and soon after the end of the First World War he employed his former student as secretary of Klub Českých Turistů, an organisation he at the time chaired. [1.16] Život není žádnou školou uhlazeného chování. Každý mluví tak, jak je schopen. Ceremoniář dr Guth mluví jinak než hostinský Palivec „U kalicha“, a tento román není pomůckou k salonnímu ušlechtění a naučnou knihou, jakých výrazů je možno ve společnosti užívat. Je to historický obraz určité doby. Saint Aloysius did, according to the monk Eustach, burst into tears when he overheard a thunderous fart, and had to resort to prayer to regain the equilibrium of his soul. Jaroslav Hašek contemptuously describe him as a representative of "the masturbators of false culture". Saint Aloysius was an Italian Jesuit priest, later canonised. His real name was Luigi Gonzaga. He is the patron saint of the Catholic youth and chastity. He died when caring for plague victims, which made him a saint for protection against this disease. [1.16] Oni by vychovali národ jako skupinu přecitlivělých lidiček, masturbantů falešné kultury typu sv. Aloise, o kterém se vypravuje v knize mnicha Eustacha, že když sv. Alois uslyšel, jak jeden muž za hlučného rachotu vypustil své větry, tu se dal do pláče a jedině modlitbou se upokojil. Eustach is supposed to have written the story about the sufferings of Saint Aloysius after he witnessed that legendary fart. Eustach is not identified with certainty. 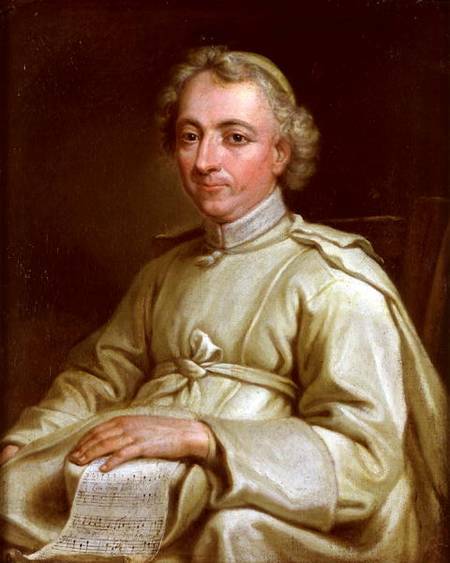 One possibility is the French painter, architect and abbot Eustache Restout. A theory of Milan Jankovič is that the person in question was the Greek Eustathios. This assumption seems however improbable as Saint Aloysius lived some 500 years later. Laudová was very well spoken compared to Palivec and along with Guth and Fastrová named as masturbators of false culture, one of the people trying to make Czechoslovakia into a huge banquet hall with parquet floor where people would come in tails and gloves. Proper language would always be used, and salon manners would be exercised. In the novel she is referred to as Mrs Laudová. Laudová was a Czech actress, after getting married she took the name Laudová-Hořicová. Amongst others, she had a role as Mrs Sørby in Ibsen's play "The Wild Duck", performed at the Czech National Theatre from 1904 until 1913. [1.16] Od hostinského Palivce nemůžeme žádat, aby mluvil tak jemně jako pí Laudová, dr Guth, pí Olga Fastrová a celá řada jiných, kteří by nejraději udělali z celé Československé republiky velký salon s parketami, kde by se chodilo ve fracích, v rukavičkách a mluvilo vybraně a pěstoval se jemný mrav salonů, pod jehož rouškou bývají právě salonní lvi oddáni nejhorším neřestem a výstřednostem. Fastrová was another of the author's ironic examples of someone who didn't talk like Palivec. 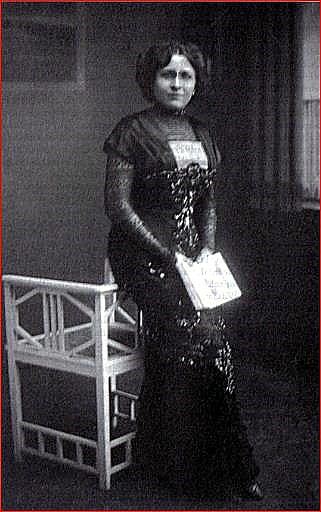 Fastrová was a Czech writer, journalist and translator, considered the first female Czech journalist. She wrote about issues like morals and decent conduct. Her translations were mainly from French. Jaroslav Hašek knew Fastrová personally; in the short story Za Olgou Fastrovou he writes that they had met just after Hašek's return from Russia, and Fastrová had asked him if "the Bosheviks really were eating human meat".